India cinema has bought into idea(s) of Hollywood in more than one ways. Except making films in Indian languages—no matter how polluted by English they already are, Indian movies sound and look more and more like non-Indian films. The way contemporary characters dress both men and women usually are some version of the fashion from the west, slowly erasing one of the most Indian aspects of Indian movies. The vibrancy of Indian color is still maintained, but the elegance of wearing Indian outfits as a choice of home-wear, casual-wear, professional and everyday wear, especially for women, which are climate appropriate, is fast being made to seem a choice for the poor and economically backward classes. Increasingly, Indian cinema makes movies of a ‘certain genre’, rather than masala films. While former employs usually one or two emotions in narrating its story, the latter exposes audiences to a range of emotions through story telling. And now, there are ‘franchise films’ replacing one-time unforgettable characters, best remembered through one remarkable performance. So, as opposed to Anand, Zanjeer and Sholay that brilliantly immortalized characters in the first attempt, there are now Munna Bhais and Golmaal Returns and Jolly LLB 2—that keep returning to capitalize on their first successes. 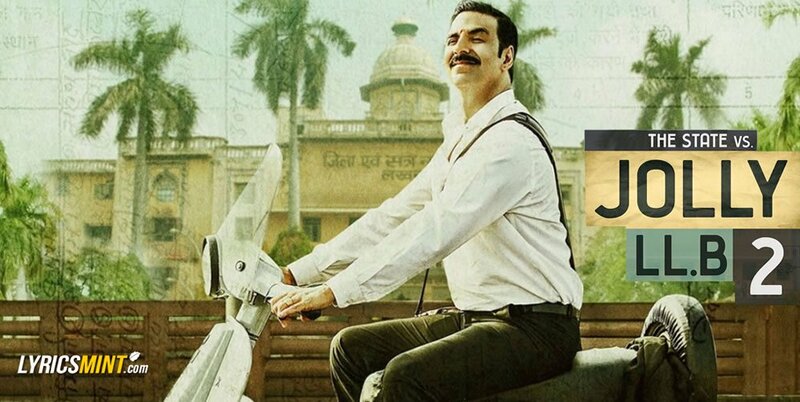 However, Jolly LLB is more about the judiciary system than just about one lawyer, so the character is new, as is his situation from the earlier movie of the same title, released in 2013. And the one thing very typically Indian about the movie is its location of action– the Indian courtroom. First: In the last few years, a few things that have become staple in Bollywood films. Women have become the gender of choice to sell alcohol to public as a fun, normative thing to do. Usually this involves them getting drunk, doing silly things and sometimes throwing themselves on men. But Jolly LLB 2 reached a new height when they showed a mother of a six-year old drinking and passing out in front of her child. Not once were the consequences of such an act were even considered in the courtroom drama that talked constantly about ‘the right thing to do’. No commentary on what happens to children who see their parents, especially mothers, getting drunk and passing out in front of them. So, now instead of bars, alcohol is right at the center of the family, normalizing it, even encouraging it as a marker for a healthy family. Because, there were no repercussions, and no undesirable outcome of a mother drinking in front of her son. Second: While in earlier movies it was a ‘Naina’ living in New York (Kal Ho Na Ho, was probably the first film where – alcohol was linked with being a ‘fun person’ via an unsubtle dialogue. SRK’s character challenges Zinta to prove that she is a ‘fun’ person and she does so by getting drunk and singing, ‘It’s a time to disco) or a Rani from Rajouri Garden (Kangana, in Queen) who drinks in Paris to deal with her broken heart after she is abandoned by her fiancée, today it is a Shruti from Janakpuri, a regular Delhi graduate from middle class family (Band Baja Baraat) who is shown drinking to celebrate her wedding planning business, as if we mithai and chai, an age old way of celebrating does not fit us anymore. But in Jolly LLB 2, it is PUSHA PANDEY (Huma Qureshi), an MA in Sanskrit at that, who has a thing for ‘angrezi sharab’ such that despite a spat with her husband she gets up to down an entire bottle while her child sleeps in the same room. So, this love of alcohol is now presented as a norm, where Pushpa Pandey’s Brahmin husband (Akshay Kumar) who is cautious enough to get the sacred thread Janeau right at the center of the family, in front of her young son, even when the bread winner of the family is concerned about making the ends meet. While youngsters sitting four chairs away were laughing at the scenes of Pushpa drinking, I wonder if they realize that scene is funny only because until now it is not the norm. If this does become a norm, it would not be funny, and might even evoke a sadness to realize the long-term impact of such decisions. Nor do I think those finding this particular episode funny realize that they are being used by filmmakers. Advertising for alcohol has been banned, but by bringing them into mainstream, not only is it being advertised and promoted, but it is normalized. Those who do not drink alcohol are not really normal people, they are –you know whatever but not normal. Look even a Pushpa Pandey drinks today!! Third: For all the hu-ha about feminism and movies, Pusha Pandey is a real parasite. No, I mean really, she just takes and takes, without giving. ‘Women, even when they are not gainfully employed, and even when their husbands can hardly make a living, will not contribute to the household either by cooking or by reducing their expenses or by taking care of the child’ is what Pusha Pandey stands for. She does not work, does not cook (Her lawyer husband, played by Akshay Kumar is shown cooking for her and their child), talks to her husband like he is her sidekick, even though she has no special quality/ability except an obsession of western, especially designer clothes. Despite her MA in Sanskrit (or may be because of her MA Sanskrit, who knows??) she utters ‘Gucci’ a few times in the movie, and then to celebrate her anniversary buys a designer dress (the dress has huge holes that bare her shoulders). In fact, in the beginning of the movie, she does not let her husband in the house because he has not yet bought her these designer clothes. Jolly has to break into his own house with the help of his neighbor and despite being a Brahmin ‘makes up’ with his wife by giving an example from Mahabharata and offering her alcohol. When their six year old child demands to be taken the toilet, the Jolly Jolly Lawyer says, ‘mummy to talli ho gayi (mom has passed out)’ and helps the child. The modern Indian woman (call it feminism if you wish) can take and demand, but has no responsibility to give!! I mean, once you have had one child, what more can be asked of a woman. A man on the other hand, must not only not question this behavior but also honor a woman who does not give much in marriage but is quite fine with taking all that she can. Fourth: Sufi songs are beautiful. They touch the heart. I could listen to them forever. But lately there have been too many and often it is the Hindus that are ready with their ‘sajdahs’ and ‘taveez’ who grace these songs. I would like to see a Muslim walk into a temple, a Christian resting his head at Krishna’s feet in our secular country. I feel minorities are underrepresented in temples. Or we could have a Shiv Bhajan playing as a muslim young woman is shown praying in a temple, or see a Christian dancing to a lively rendition of Human Chalisa. Fifth: I thought movies today were about ‘reality’ more real than before, then we should show various aspects of ‘reality’. So, if Jolly is riding a scooter, sometimes he should be shown wearing a helmet, sometimes not, and well, sometimes we should show the consequences of not wearing a helmet as well. Make it a part of the plot, so while the audience learns that offering alcohol to your wife is a per-requisite for a healthy family life, so is wearing a helmet for the safety of the body and eventually family. Given the current direction of Bollywood it is hard to expect that they will make any course correction in the near future. So brace yourself for more ugliness in the future.